The latest exhibition at California State University, Northridge’s Art Gallery explores China’s landscape in the late 1800s through the photography of John Thomson. 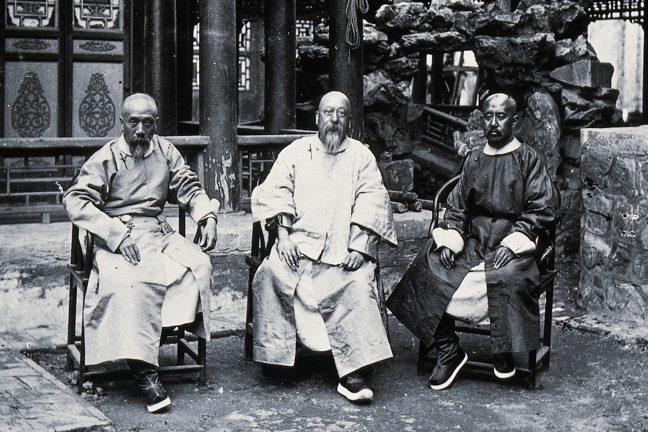 “China: Through the Lens of John Thomson 1868-1872” runs through Saturday, Dec. 10. This is the first time the show is being displayed on the West Coast. The exhibition includes 108 modern prints of Thomson’s work from China, drawn from the Wellcome Library in London. The library was founded by Sir Henry Wellcome in the 20th century. Wellcome’s wealth allowed him to create one of the most ambitious collections of his time. Thomson was originally from Scotland. In addition to being a photographer, he was also a travel writer. Thomson first visited China in 1862 and set up a photographic studio to begin his work. He eventually settled in Hong Kong in 1868, and his trips throughout China covered roughly 5,000 miles. He captured a variety of images and themes, including landscapes, people, architecture and street scenes. Thomson’s work captured China’s land and its people in their daily lives. He used a popular photographic method called the wet collodion process, which creates exposures on glass plates. The wet collodion process had to be done in complete darkness on location in a portable dark room. In 1876, he spent time in London, where he collaborated with journalist Adolphe Smith. They worked on a monthly publication called “Street Life in London.” His work in China and London helped Thomson become one of the most influential photographers and photojournalist pioneers of his time. The CSUN Art Galleries have mounted more than 500 exhibitions, averaging 25,000 visitors per year. The gallery is open from noon to 4 p.m. Monday, Tuesday, Friday and Saturday, and noon to 8 p.m. on Thursday.